Paris, the capital of France, is located in the northern central side of the country. Situated on the Seine River, the city has the most visited and impressing art museums, like the Orsay Museum, the National Modern Art Museum and the Louvre. Besides these, as a tourist, you will certainly notice the amazing architectural landmarks of Paris, the Eiffel Tower, the Notre Dame Cathedral, L’Arc de Triomphe, the Palace of Versailles and many other attractions that brings over 20 million visitors every year. But in your sightseeing tour, you can find out many more things about this city, about the local habits and the main attractions. The old bridge of Pont Neuf is the oldest bridge in Paris, being the first paved road that separates pedestrians from traffic. Is is also the first bridge without houses on it. The Orsay Museum was installed in the former Orsay railway station. The collections displayed there date from 1848 until 1914. The abandoned station was also used as a set for some movies, but also as a hotel. The Louvre Museum is the biggest museum in the world, with an impressing collection of over 380 000 pieces, all available for the visitors. Louvre was firstly built as a military fortress and became a museum in 1793, hosting the DaVinci’s masterpiece, Mona Lisa. At a given moment, the buildings of the Louvre were abandoned and rotted, but then they were repaired and Napoleon Bonaparte temporarily renamed the museum after himself: Bonaparte Museum. Inside the museum you can even find a McDonald’s! The Eiffel Tower weighs more than 7000 tons and it has 5 billion lights on it. Every night, there is a light show for 5 minutes an hour. The Tower swayed 13 centimeters in 1999, during a hard storm. It was firstly painted in red and it was not intended to be permanent. The idea of moving it in other place was refused and the tower became a giant radio antenna. 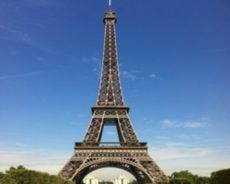 Another interesting fact is that at the moment of its construction, the Eiffel Tower was the tallest building in the world and its nickname is also the Iron Lady. 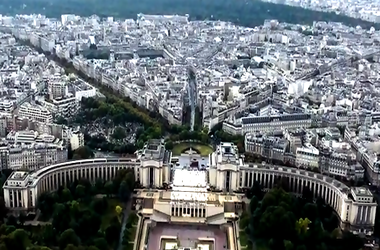 And this is how Paris looks like from the top. 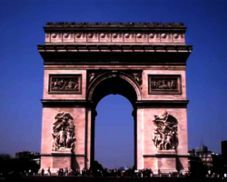 The Arc de Triomphe was built by the order of Napoleon Bonaparte, in order to honor the French Army. On the white walls of the monument are written the names of the 128 battles of the Napoleon’s Empire, but the construction was completed after Napoleon’s death. Unfortunately, he never got to see the finished product. All the trees in this city are referenced and measured. There are about 200 places in the city where you can get an espresso for 1€. 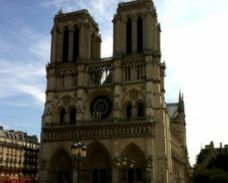 There is a bell inside the Notre Dame Cathedral that weighs over 13 tons. The point of the Luxor Obelisk indicates international time, being the largest sundial in the world. 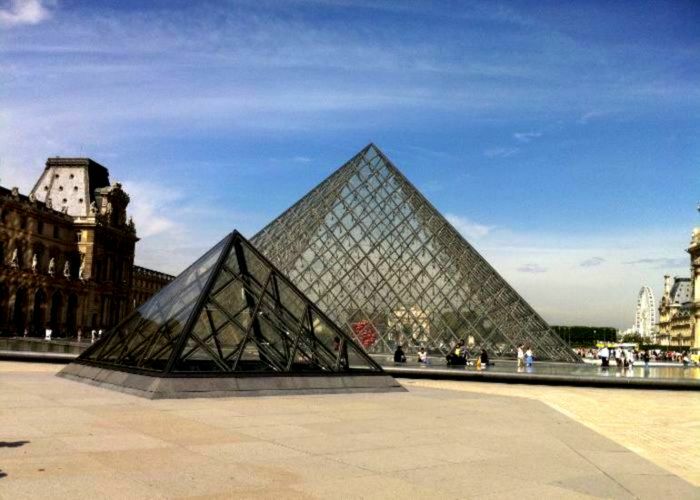 Traveling to Paris is a real challenge, because you have so many interesting places to see. Enjoy it and search on TripEconomy a complete list of hotels in Paris. Pack your things and go!